The first ever T20 league in UAE was to be played in 2018 and after its official launch was held in June 2018. However, it’s now been cancelled because of a lack of interest in buying the teams. Named UAE T20x, the tournament was to begin on December 19, 2018 and conclude on January 11 2019. The UAE T20X draft was to take place on November 19 in Dubai. Get all the information around the UAE T20 League squads, tickets, live streaming options, predictions and schedule for this first season of the tournament below. According to latest reports, two of the five teams were sold but there weren’t enough investors found for the remaining three sites, as a result, the organisers decided to scrap the tournament. 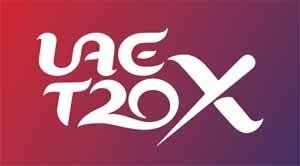 The UAE T20X logo was released on August 8. The UAE T20x was expected to see a total of five sides featuring in the competition. Each of these five teams were to play each other in a league format twice, making it 20 matches in a round-robin method, followed by the knock-outs. In what came as exciting news for the fans, South African legend AB de Villers had agreed to be the brand ambassador for the league but all of that did not do much to help the chances of the tournament. The five teams that were to participate in the competition were to be based out of Abu Dhabi, Dubai, Sharjah, Ajman and Ras Al Khaimah, the five cities which will also play host to the tournament. However, there was interest in only two of these five teams from potential team owners. The T20X squads will be updated closer to the start of the competition. For now, AB de Villiers has agreed to be the brand ambassador for the tournament. And the following players are the icon players of the tournament – Shahid Afridi, David Miller, Eoin Morgan, Andre Russell and Kumar Sangakkara. Steven Smith will also feature in this competition. More than 500 players have registered their intent to take part in the competition that will have five sides with 16 players taking part in each team. Four players will be juniors or emerging players from Test-playing nations. The T20X squads will be decided in two ways. The top, Test-playing players will be selected via an Auction that will have a DH1 million upper limit on it while the rest of the cricketers will make it through to the squads using the Draft method. The first ever edition of the UAE T20X will be streamed live online and can be watched on TV as well. More information about this will be updated closer to the start of the tournament. The first ever UAE T20X will be played between December 19 to January 11. The first game will be played on December 19 while the final will be played on January 11. Rest of the UAE T20X schedule will be updated below. How many teams will take part in the tournament? In the first edition of the UAE T20X, there will be five teams. This could increase with time. How many days will the tournament last? The first season of the UAE T20X will kick-start on December 19 and go all the way to January 11, lasting a total of 23 days. What’s the format of the UAE T20X? Five teams will play against each other in a two-leg round-robin competition, with each team playing eight games. The top three or four sides will make it to the playoffs of the UAE T20X. Who are some of the players involved in this competition? So far, the likes of David Miller and Andre Russell have been signed on as icon players. Steven Smith has also decided to take part in the tournament after being banned from the Australian cricket team for one year. More information on the rest of players and squads will be released soon. Eoin Morgan has also been signed up as one of the five icon players who will participate in the UAE T20X and according to sources, he is expected to be paid £270,000 to feature in the tournament.